We rejoin our intrepid adventurers, David and Janet Carle as they travel the 38th Parallel seeking water-related environmental and cultural connections. Their book, THE 38th PARALLEL: A WATER LINE AROUND THE WORLD will be published in 2012. They have crossed the U.S., Europe, Turkey, Turkmenistan, China, and Korea, and will be in Japan in September 2011. Here’s a post on their blog, Parallel Universe 38ºN: The Water Line as they discuss their upcoming trip to Japan. 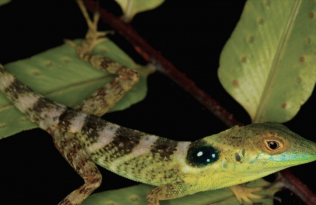 Guest post: What's The Anole Genome Good For? Across Europe on the 38th Parallel Volcanic Islands and Solar Panels on the 38th Parallel Guest post: What’s The Anole Genome Good For? Travelling the 38th Parallel: What’s Happening Now?